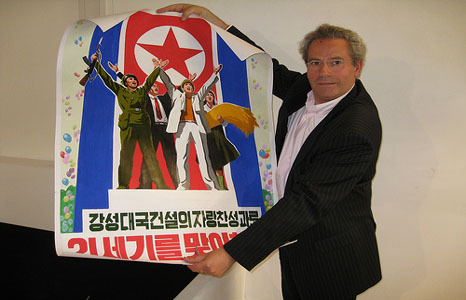 David Heather buys North Korean propaganda posters to sell to art collectors overseas. 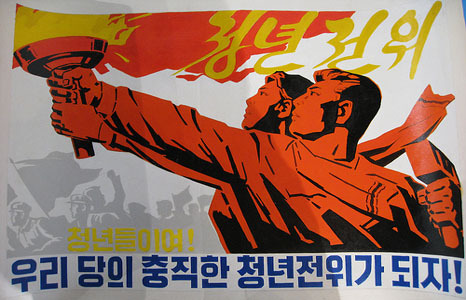 The hand-painted posters are produced at a studio complex in Pyongyang, where about 1,000 artists work. 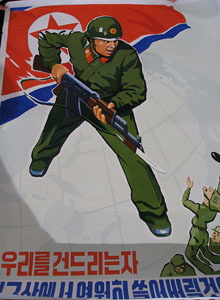 Some posters have the obvious anti-imperialist themes. 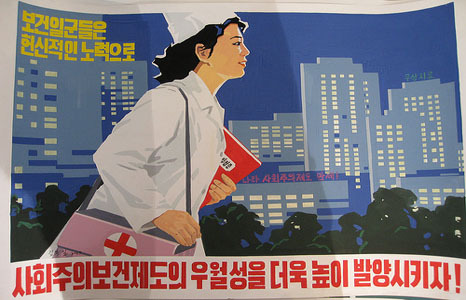 But David Heather says these are less common nowadays, as relations between North Korea and the US improve. 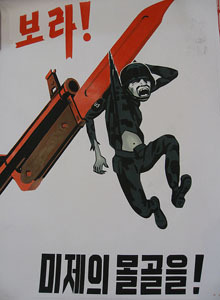 David Heather says there are two main types of poster - those that are depicting the day-to-day lives of ordinary people and those which are anti-imperialist in nature. The caption on this poster reads "Look! The face of American imperialism." This poster encourages a healthy lifestyle. 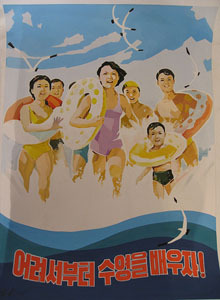 It says "Let's learn to swim at an early age." Some posters encourage hard work. David Heather says this one translates as "Let's give a bigger part to the advantages of the socialist treatment system through greater effort." 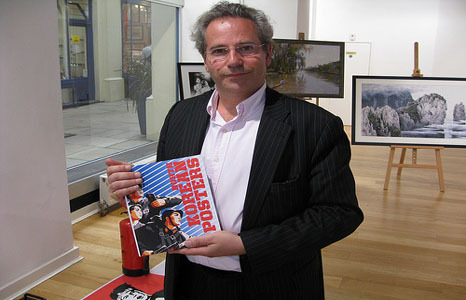 The posters have proved so popular with art collectors that a book has been published and an exhibition in New York is planned.